When considering a convertible as a third, fourth, or otherwise occasional car, we often default to something classic, with froggy-looking headlights, a tiny underpowered engine, handling as direct as it gets, and more fun than one person really deserves to have. However, where most folks look to the English for their basic sports car experience, we here at TTS are partial to the Fiat 850. Not for nothing, Mr. Lucas never so much as breathed on an 850 and Mr. Agnelli seemed to have some concept of how car electrics work. Beyond that, though, the 850 offers simplicity in the form of a tiny (817-903cc) but peppy inline-4 cylinder motor coupled with vintage Bertone styling from the same generation as the Lamborghini Miura (early 850s even shared headlights with the Lambo!). Besides, despite huge production numbers back in the day, rust and indifference have resulted in a fairly thin pool of decent 850 spiders left and even fewer for sale. Chances are you’ll have the only one at your local cars and coffee, and the combination of rorty exhaust, low-slung small open car, 50hp, and 90mph feels a lot faster than it really is. 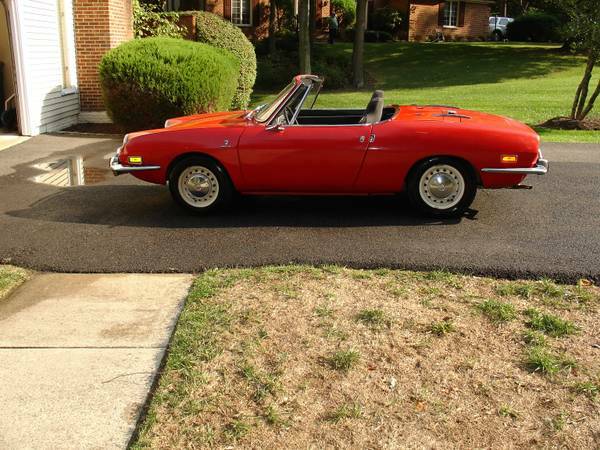 See this clean example for sale on Craigslist in Woodbridge, Virginia for $3,800. Despite an ill-advised attempt to make the Z3 into a perennial Bond car, it remains nonetheless a viable roadster offering plenty of fun for driver and passenger alike, in any of the four- or six-cylinder configurations. Generally speaking, older cars with smaller engines will be the most affordable, but there are sub-$10K bargains to be had from across the range. 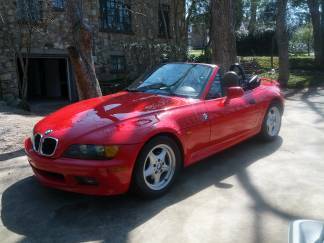 This pretty red Z3 is a 1998 1.9 liter 4-cylinder 5-speed for sale in Jacksonville, Alabama for $6,800. With the Z3 BMW was looking to capitalize (somewhat belatedly) on the success of the Mazda MX-5 Miata. The results were mixed. The cars, even the 4-cylinders, were considerably more expensive than Miatas when new, yet offered little above the Little Mazda that Could beyond big wheels, a moderately more powerful engine, and the availability of heated seats. Still, as used cars in the same general price bracket as a used Miata they become far more competitive. 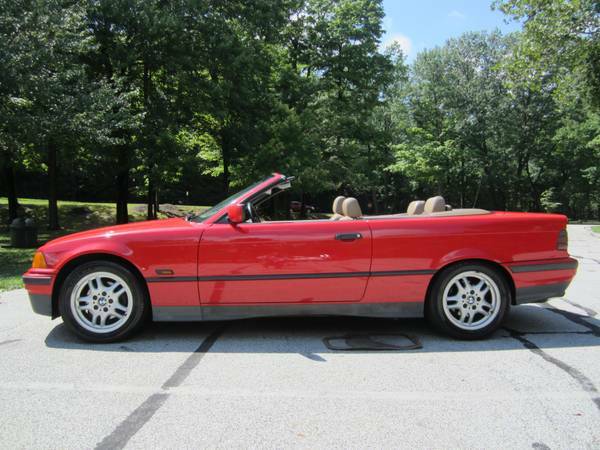 After all, these are BMWs from when BMW knew how to make proper driver’s cars, and the Z3 does not disappoint. It is utterly tossable, tight, and a party on the backroads. The hardest part about Z3 shopping is finding good manual transmission cars, as it appears that they were sold nearly 3:1 as automatics – at least if you go by the classified ads. Mark my words: these cars are going to go up in value before too long. Yes, they made a lot of them, and yes, to many they still just look like old cars. BUT, drive a nice one through a busy street in one of those little boutiquey towns like Vail, Laguna Beach, or Greenwich, and you get comments like “nice car!” and “take me for a ride?” from passers-by. Fact is, the R107 is the car that people born from about 1940-1980 think of when you utter the words “Mercedes convertible”. It was the car that Bobby Ewing, Jonathan Hart, and even Wonder Woman drove. It is the classy roadster of our (relative) youth. Prices for good 107s are all over the waterfront depending on miles and condition, but there are a lot of them available for less than $10K, like this good-looking example available on Craigslist in Berkshire, Massachusetts for $7,000. We are partial to the 560s since they were the last and most powerful of the range, but consider a European 350SL, 280SL, or 300SL if you want to row your own gears – although you’ll need to be prepared to pay handsomely for the privilege. Also be sure that you get both the soft and hard tops as part of the deal! Don’t think of it as a sports car per se, but rather as a grand tourer with the added benefit of dropping its top. Lest anyone think we have an aversion to classic British roadsters, I give you the Triumph TR6. Although its underpinnings date to the dark ages, and it does use Lucas electrics, most decent ones have been sorted by now, or are well on their way. What redeems the TR6 for me is the inline-6 cylinder engine – a stand out in a market segment (did they have those in the 1970s?) dominated by wheezy four-cylinders. The result was added smoothness and more grunt than it’s lesser-engined brethren. This was also the last of the classic upright Triumph roadsters, with the contemporary Spitfire trying too hard to keep up with the times, stylistically speaking, and the subsequent TR7 and TR8 looking like, well, a giant doorstop. 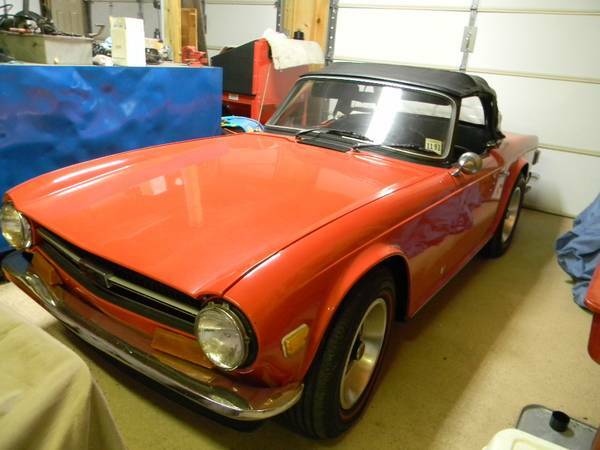 Like the 107 Mercedes, prices for TR6s run the gamut, but nice clean drivers like this car for sale on Craigslist in Greensboro, North Carolina can be had for less than $10K. It’s not refined by any stretch of the word, but it is driving at its purest. My compatriot here at TTS will chastise me for going with the E36 over the E30 325i Convertible, but I figure that he’s got an E30 convertible feature brewing somewhere in his brain, so I thought I’d go with the later car. Besides, I have more experience with the E36, and I like the fact that this car, for sale on Craigslist in Brooklyn, Ohio for $4,800 has the roll-over package. Or something like that. In any case, Car Geeks everywhere have for two decades lauded the greatness that is the BMW E36 for its class-leading handling, strong inline-six cylinder motor, and crisp-shifting manual transmission. Yes, manual. Don’t buy one of these with an automatic. If you want an automatic, buy a Benz. But more on that in a minute. These cars are fun. Period. The problem is, a lot of them have been used and abused, so finding nice ones is getting ever-trickier. Still, good cars are out there. Look for telltale signs like cloudy headlights, shredded interiors, and non-op power tops on cars that you should walk away from. Well kept cars can be had all day long around five grand, and they’re every bit as fun to drive as a new one – if not more so. And there’s room for the kids. Speaking of room for the kids, there just may be those times that you don’t want to deal with driving a stick while enjoying open air motoring. I used to mock people like that. Not any more. In the spirit of full disclosure I own one of these – the 1993 pictured at the top of this page – and it has become one of the few cars that has ever achieved a state of relative permanence in our garage. It’s that good a car (in general – our specific example has its own issues, but that’s not what I’m talking about here). These cars were built in relatively small numbers, and were assembled largely by hand. 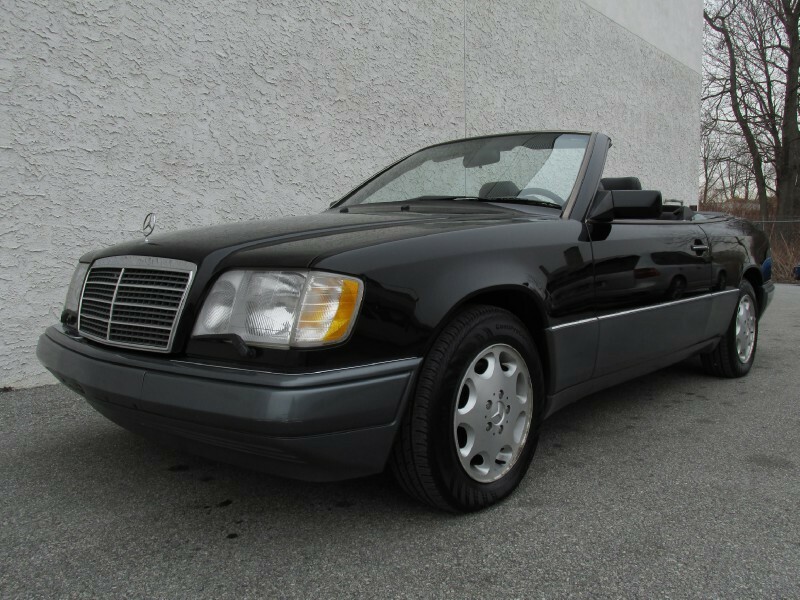 Mercedes took the standard 124-chassis coupe, chopped the top off, reinforced the bejeezus out of it, and honed it into what is one of the most solid convertibles of its day. It is the yin to the 325iC’s yang – both great cars but with markedly different attitudes. Still you can drive the Mercedes with gusto and the car will pull-up its trousers and get down to business, safe in the knowledge that should things go awry there is a hydraulic roll-over system that deploys in a fraction of a second. Tres cool. When new these cars cost the same as the contemporary Porsche-engineered 500E – about $80,000 dollars, or approximately twice what the 325iC sold for. 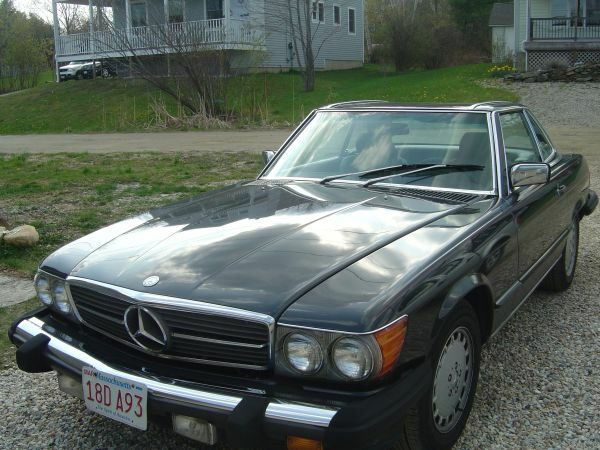 These days you still pay a small premium for the Mercedes, but again condition trumps all. Good examples start around $7,000 escalating as high as the mid-$20Ks for the absolute best. Those guys, however, are smoking crack. 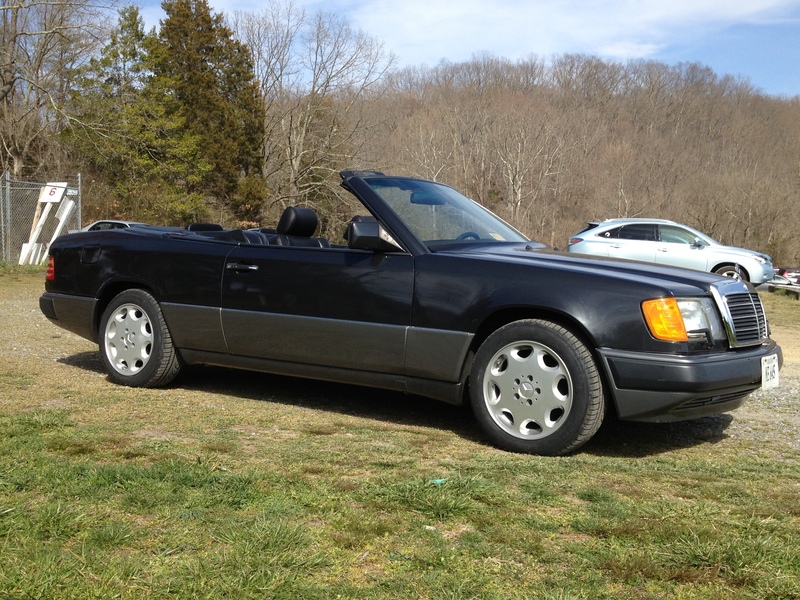 This car, available on eBay in West Chester, Pennsylvania for $9,900 or best offer appears to be a solid contender. And they do look good in the darker colors. Tell me you didn’t see this coming. Understand that these convertibles are not presented in any particular order, and putting the Miata last doesn’t mean it’s the best (or the worst). All of the cars have their warts, but they also shine in their own unique ways. The Miata is no different. Although it has been widely hailed as the second coming, and for good reason, the Miata has its warts. It’s tight, and it has a reputation as being less than manly. Note that we didn’t include the VW Cabriolet here, although it would qualify from a price and a fun standpoint. Same issue to a higher degree. 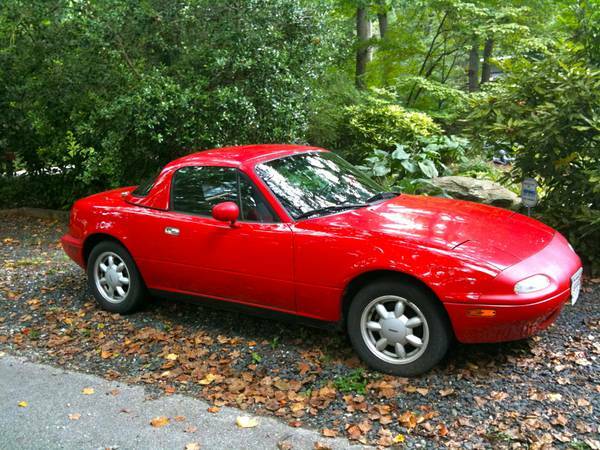 The Miata, however, was designed as a sports car, and does the job brilliantly. 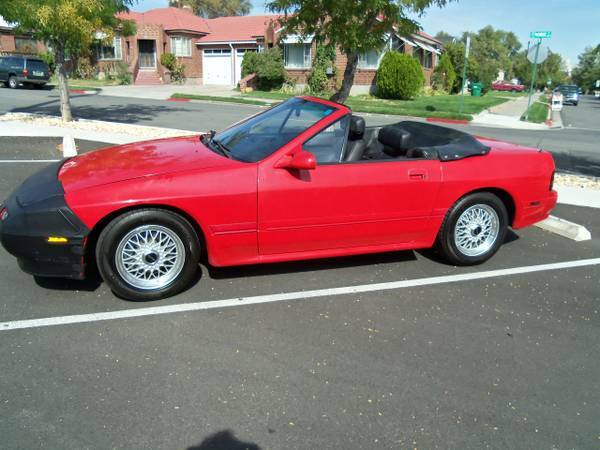 Mazda didn’t take a 323 and change it into a convertible like so many other manufacturers have done. They bought real sports cars, looked at what worked on them, and what didn’t. Sure, they used a powerplant off the shelf, but they even made that look and sound the part, while pairing it up with a transmission and chassis engineered specifically for the job. Yes, they made a lot of Miatas, and yes, you will likely be exiled to the hinterlands at a car show because of it, but with entry prices starting around $1,500 for decent, driveable cars, the Miata is a hard bargain to beat. 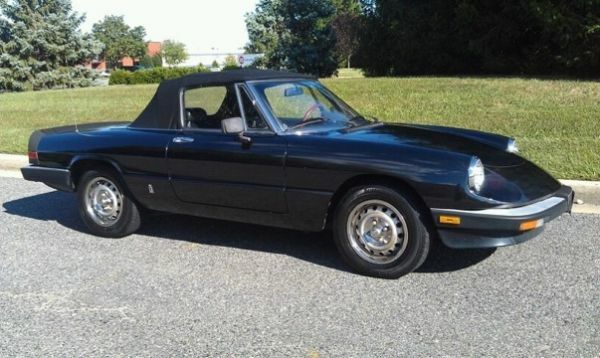 I’ll take mine like this example, complete with the coveted hardtop, on Craigslist in Annapolis, Maryland for $5,000. And I’ll never look back. And that’s the bottom line. Any of these cars, bought with the proper due diligence, offers the potential for sublime warm weather motoring. It’s a matter of style, taste, and budget. Convertibles are not just for car folks and right guys, they’re for everyone – and many of them are usable year-round. One of these days the safety police or big brother just may stop letting us have our convertibles… Don’t wait. This entry was posted on Tuesday, April 9th, 2013 at 12:30 PM	and tagged with 280SL, 300CE Convertible, 300SL, 325iC, 350SL, 380SL, 450SL, 560SL, Alfa Romeo Spider, BMW, British Cars, E30, E320 Cabriolet, E36, Fiat 850, German Cars, Graduate, Italian Cars, Japanese Cars, Mazda Miata, Mercedes-Benz, R107, RX-7 Convertible, Triumph TR6, W124, Z3 and posted in Resources, Totally That Stupid. You can follow any responses to this entry through the RSS 2.0 feed. I keep my top down all year so I don’t get ticketed by the Convertible Police! Double fines for hardtops on nice days!! Be careful out there! How about this one in Staten Island? A 900 Turbo Saab 1991. Can’t beat the looks for the asking price.